The Crystal egg with double headed eagle and Catherine The Great sign on the back side. The Double Headed Eagle, the symbol and crest of the Romanov Dynasty, has two heads - one faces East and the other West. The Russian dynasty adopted this symbol at the fall of the Byzantine Empire in Constantinople as it viewed itself as the successor of the Byzantine Empire. Eggs in Imperial Russia was a traditional gift from the Tsar to his most trusted subjects symbolizing love and new life. 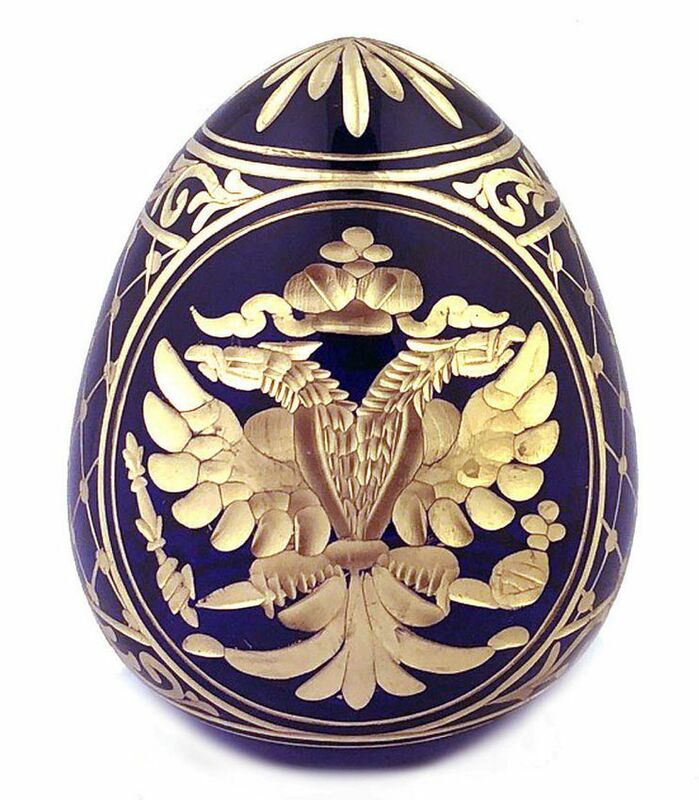 Hand etched royal symbols, floral and geometric designs on crystal eggs crafted and etched by the Imperial Porcelain Factory of St Petersburg, Russia.